If you were working on one of the most anticipated video games in the world, would you tell your children about it? 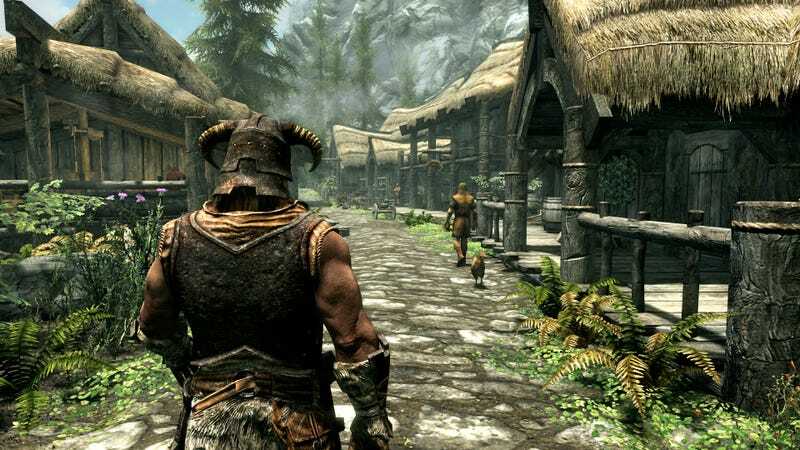 That’s a parenting challenge most of us don’t have to face, but Bethesda Game Studios director Todd Howard is in a category of his own. The Game Maker’s Notebook, hosted by Insomniac Games boss Ted Price, launched last year and has been full of fascinating interviews. I recommend adding it to your podcast rotation alongside Kotaku Splitscreen. Ted Price: Oh, that’s great. Howard: It was great for a while, and then he got, like every dinner conversation, ‘Dad what’s with the Thalmor? Do you believe in Talos? Is he a god in this? What is this? What are your favorite Daedra? Why do they want to do this? What are your weapons? Where did Tiber Septim come from?’ He knows, and I forget a lot about it. The other week, I was like, ‘I’m done talking about this, I don’t want to talk about this. I get this enough at work. Let’s talk about something else.’ And he got really upset, and then he went through all the cycles. So I got to experience it firsthand every day. He played on the Switch, then he went to the Xbox One version, and then he discovered mods. So he follows all these YouTubers who talk about Skyrim mods, a lot of old videos, but some of them new. Then he’s downloading all these mods and showing them to me, what all the creators have done in the game. Seeing it again through that filter was really special actually, it was really great. Price: That’s one of the reasons we make games, right? Is to influence people to that degree, so they can become inspired, perhaps. Does your son talk to you about making the games?